Papo is known for its fabulous molds, and their beautiful paint jobs. This has led them to setting the bar in the dinosaur figure market. 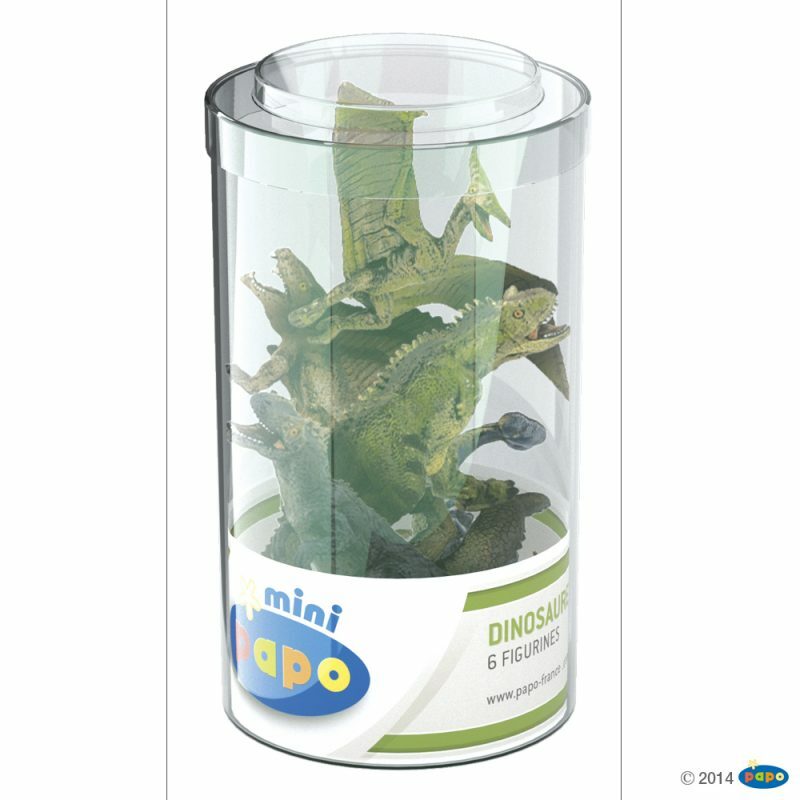 When we heard that they were coming out with a miniature tube we were worried because most mini dinosaurs come out looking cheesy, but Papo pulled it off. They brought the same craftsmanship and attention to detail with their miniature line… and we were blown away. Add these 6 new Papo dinosaurs to your collection. Children will love to use them for dramatic play, or you can use them to replace your boring old Monopoly board pieces. 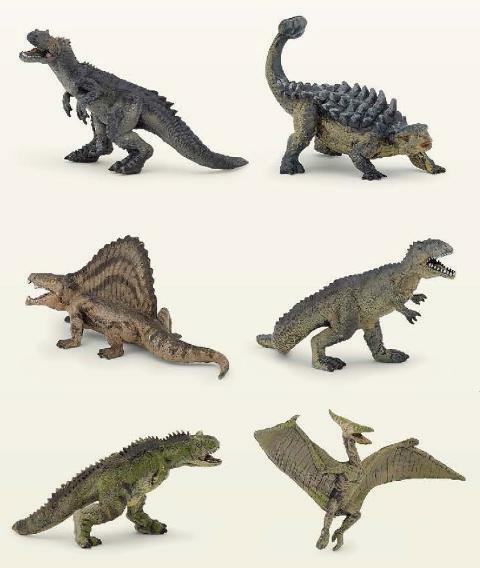 The set features Dimetrodon, Allosaurus, Carnotaurus, Pteranodon, Ankylosaurus, and one mystery dinosaur that has not yet been identified by the manufacturer. This is believed to be a Giganotosaurus, or at the very least based on a model that was originally planned for Papo’s 2015 lineup.